We are not more than half-way through Great Lent (yesterday was Michink, the median day of Lent). This Sunday, March 18, is the “Sunday of the Judge” (Tadavori Giragi). 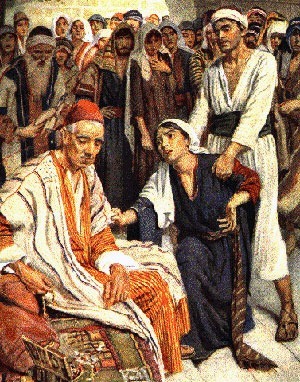 The Gospel reading for this day is the parable told by Jesus about a widow and a judge (see Bible reading above). The judge in the parable is seen as hard-hearted and without principles, fear of God, or regard for people. A widow in the same town has been ill-treated and she has come to the judge for justice. Although her cause is just, the judge does not pay attention to her case. However, she is persistent and she makes the same appeal again and again until at last the judge decides to see that she receives justice. He does this not because he cares about justice, but because he wants to be rid of the widow. The message of this parable is that we must persevere and pursue righteousness and justice relentlessly with the confidence that perseverance (especially in prayer) will be rewarded.